On July 31, 1897, St. Louis pitcher John Grimes hit six batters in a single, nine-inning contest, thus establishing a Major League record. 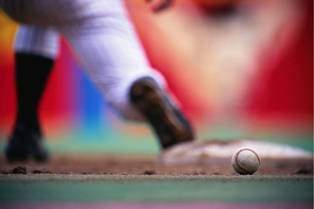 After 1900, the most hit batsmen in a game is four, committed by multiple pitchers. Grimes would only appear in three games with the Browns during his single-season career. There is a power to both patience and persistence. Baseball is a game of life. It’s not perfect, but it feels like it is. That’s the magic of it. We are responsible for giving it the respect that it deserves. Our sport is part of the American soul, and it’s ours to borrow just for while, to take care of it for a time, and then pass it on to the next generation. Congratulations to the Hall of Fame Class of 2014! The induction ceremony for these six greats took place yesterday in Cooperstown, New York. Those inducted: 300-game winners Greg Maddux and Tom Glavine, slugger Frank Thomas and managers Joe Torre, Bobby Cox and La Russa. Having been witness to the Braves of the ’90s as I grew up, a part of me wishes fervently that I could have attended the ceremony. Maddux and Glavine were masters of their craft, and it was always a treat to watch these pitchers pinpoint their pitches with remarkable accuracy. These men were proof that one did not have to be big, strong, and bulky to be successful in professional sports, and that style, brains, and finesse, in many ways, counts for so much more than brawn. Here’s an interesting twist on the game: what if every game was played as if it were in extra innings right from the start? That is, what if the winner was determined according to who scored first (with equal opportunities on offense, of course). Craig Robinson explored this question, and what follows is a look at how the 2013 season would have shaped up had it been played by these rules. 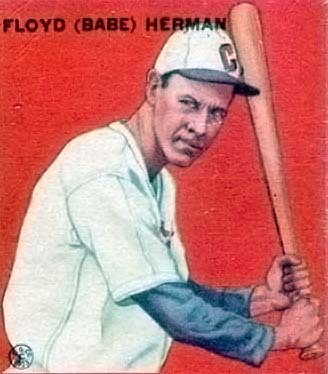 On July 24, 1931, Floyd “Babe” Herman hit for the cycle for the second time in just ten days. This was the third time in Herman’s career that he had accomplished the feat, making him one of only three players in history to do so. “Long John” Reilly and Bob Meusel have also hit for the cycle three times in their careers. I have this video queued up to start at Cashman’s tribute to the Braves, but it’s not the only song in the video. If you wish to see and hear more of the video’s content, feel free to start at the beginning of it. Enjoy! All “Talkin’ Baseball” videos can be found here.